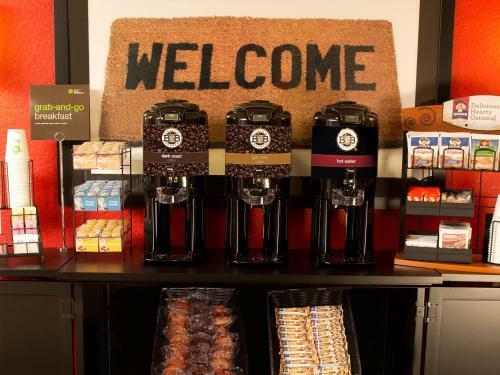 With the city's top comedy club on-site plus free Wi-Fi and a free daily breakfast the Ramada Jacksonville Hotel and Conference Center goes overboard to make our guests smile. 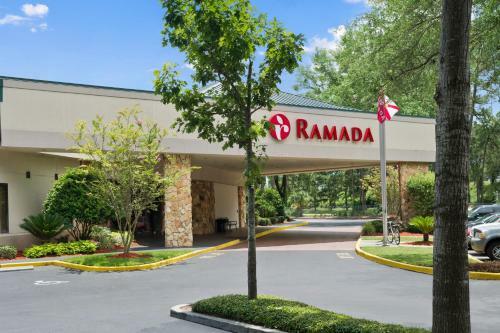 The two-story Ramada Jacksonville Hotel and Conference Center features 150 fresh contemporary rooms with free Wi-Fi comfy beds lavish bathrooms with granite countertops microwaves and mini-fridges. The hotel serves a free hot breakfast buffet each morning. This Ramada may be known as a business conference venue but there's plenty of fun to be had in the large cloverleaf-shaped pool a children's wading pool and a fitness facility. There's also a business center. Guests enjoy free admission to the Comedy Zone on select evenings and a full-service restaurant. 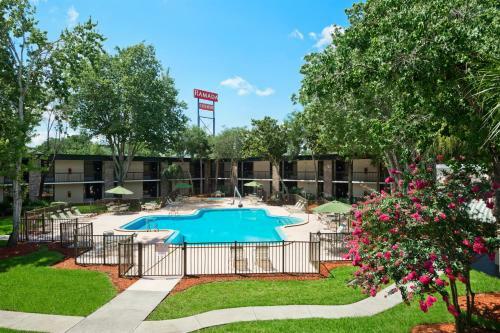 Situated in the well-manicured Mandarin area on Jacksonville's southside the hotel is just off I-295 providing easy access whichever way you're headed. In the immediate area you'll find everything you need — restaurant after restaurant shopping plaza after shopping plaza — and then some. 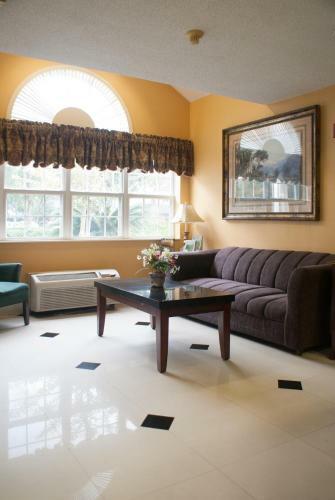 The hotel is also within an easy drive of corporate offices in the prominent Deerwood Office Park. 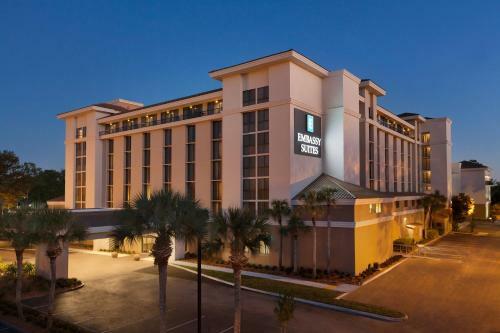 Just a 20-minute ride to downtown the Ramada Conference Center is 30 miles south of Jacksonville International Airport.